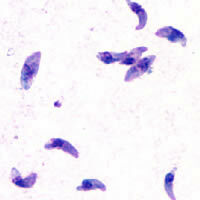 Toxoplasmosis is a parasitic disease caused bi Toxoplasma gondii. Infections wi toxoplasmosis uisually cause no seemptoms in adult humans. ↑ "Parasites - Toxoplasmosis (Toxoplasma infection) Epidemiology & Risk Factors". March 26, 2015. Retrieved 22 August 2015.